Corporate social responsibility (CSR) is a given for Ordina. It is built into our DNA. 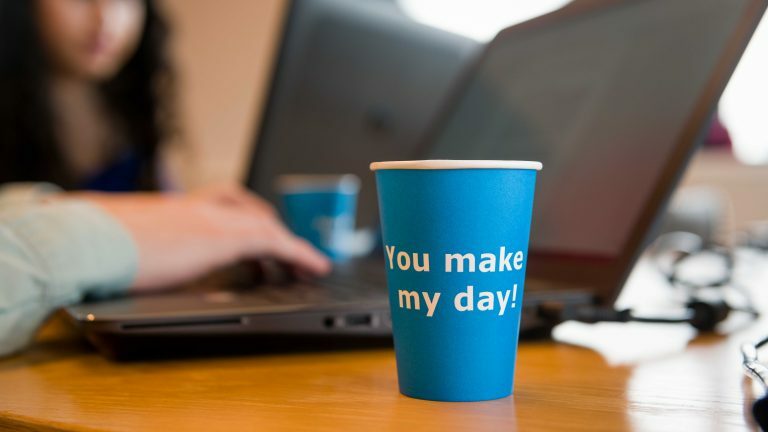 Back in 2002, we were among the first companies in the Netherlands to start integrating corporate social responsibility in our business operations. 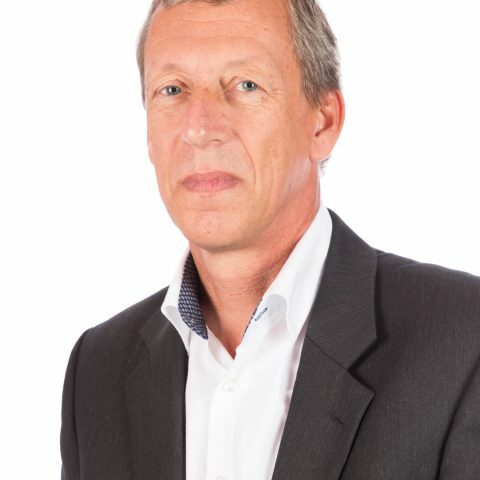 Ordina was co-founder and first chairman of Samenleving en Bedrijf (society and business), which has since been renamed MVO Nederland, or CSR the Netherlands. Ordina sees corporate social and sustainable responsibility as our duty to create value for society in all of our activities. We do this by making sure that IT really does work for people. Because we believe in a future in which we use IT to overcome the challenges we face as a society. Ordina realises its vision by forging partnerships in sustainable innovation. More specifically: in partnership with our employees, clients, financiers, suppliers and other stakeholders, we strive to realise a cleaner, safer and more social world. And this is no one-off effort, but a structural drive for improvement. We want to create sustainable and measurable value in the environments in which we work and where we can have an impact. On the basis of the chain principle, Ordina works closely together with its employees, suppliers, financiers and other stakeholders with the aim of realising a more sustainable future for our employees, society as a whole, our financiers and – most importantly of all – our clients. Ultimately, this is all about everybody involved working together to create a safer future and forging Partnerships in Sustainable Innovation. Since 2010, Ordina has organised annual dialogues with clients, suppliers, social organisations, advisers and lobby groups to discuss the challenges and dilemmas we all face. The aim of these dialogues: to evaluate and refine our sustainability themes. Do we turn left or right at the crossroads of corporate social responsibility? 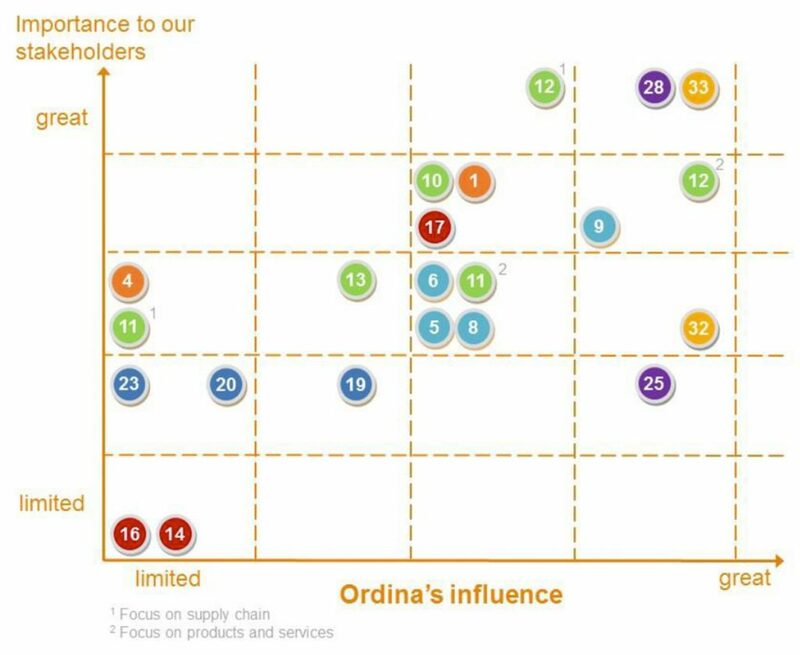 Our materiality matrix provides us with the insight we need into the importance of sustainability aspects for our stakeholders and Ordina itself. And determines what sustainability aspects we focus on, as prescribed in the G4 Sustainability Reporting Guidelines 4 of the Global Reporting Initiative (GRI). In the context of the Dutch government’s multi-year covenant (MJA3) for the Dutch IT sector, Ordina has set a four-year goal for CO2 reduction. 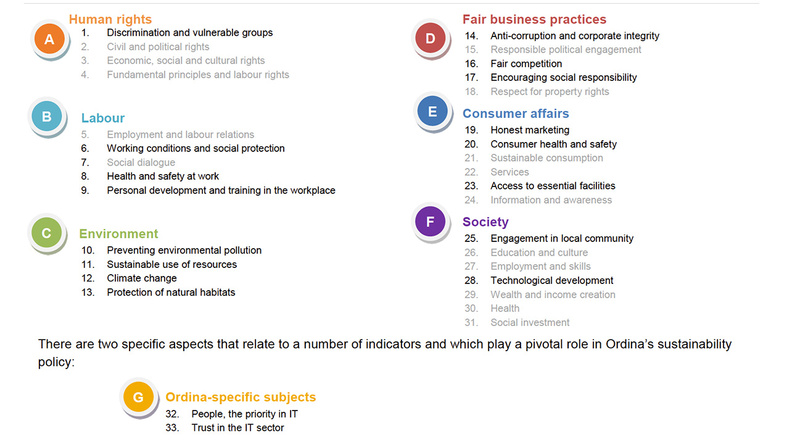 Ordina refines and redefines the other goals in the context of the five axes on an annual basis. See the Sustainability policy plan in which we have defined ambitions for the period 2017-2020. People are the beating heart of and the future of Ordina. This is why we focus on two aspects in this axis: inclusiveness and sustainable deployability. In other words, we strive to create an environment in which there is room for diversity, in which everyone can realise their full potential and in which they remain physically and mentally healthy. The world of IT is moving and changing very rapidly. Our professionals are challenged to develop continuously and to adjust to the world of tomorrow. This is why we offer them a wide range of training courses via our own Ordina Academy. Our people deliver top-class performances every single day. This is remarkably demanding, both physically and mentally. Based on the principle ‘prevention is better than a cure’, via our Prevent programme we offer our employees a broad range of services. These include access to various healthcare providers, physiotherapists and psychologists. We work in partnership with clients and suppliers to create IT solutions that really do help people. Sustainable tools that do what they are supposed to do, are easy to manage and that are created without wasting any material resources or human capital. Thanks in part to our use of agile working methods and the attention we devote to Security & Risk Management. Major IT projects are extremely complex. And thanks to the increasing pace of developments, it is possible that a technological breakthrough will overtake the original idea. 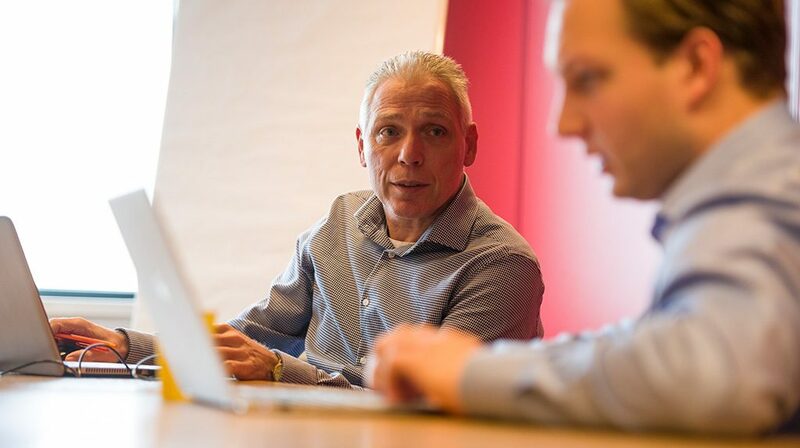 This is why Ordina believes in using agile working methods. Start small, experiment and dare to adjust and experiment. In partnership with clients. Learn from those experiments, make any necessary adjustments and upscale in clear and manageable steps. From DDoS attacks and malware to data breaches. Cybercrime is a threat to society on all fronts. And close to four out of every five Dutch companies is worried about the vulnerability of their IT systems. 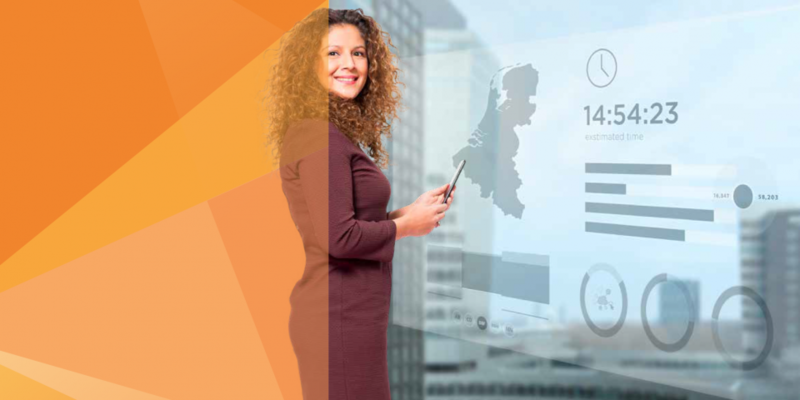 Ordina helps to protect the business community – and therefore society as a whole – against these dangers by increasing digital security via a range of services. Quli is a ground-breaking eHealth solution that we developed in cooperation with Stichting Dichterbij, Dr. Leo Kannerhuis, Arq, Amarant and Pluryn. Quli enables clients and patients to manage, use and share their own medical data. This is how we contribute to greater and improved self-sufficiency and reciprocal self-reliance in society. See www.quli.nl for more information. Each year, Ordina makes three to five hundred man-hours available for projects with a special social relevance. These are projects in which we can use our particular expertise to add value. We support a number of projects as part of our partnership with Dutch charitable organisation Oranje Fonds. We initiate other projects ourselves via our own Ordina Foundation. The Oranje Fonds supports more than 7,000 social initiatives each year, both in the Netherlands and the Caribbean part of the Kingdom. The Oranje Fonds selects projects within these initiatives where Ordina’s expertise can make a difference. We then look for people in our company who want to make a contribution and have the required expertise. Via the Ordina Foundation, we offer our people the opportunity to use their specific IT expertise to support short-term projects. This is another way we contribute to solutions for one or more social problems. See the download section at the bottom of this page for the initiatives Ordina contributes to or has contributed to in the past. A chain is always more than the sum of its parts. With that thought in mind, Ordina has drawn up several concrete CSR priorities we would like to work on with our suppliers, such as the reduction of CO2 emissions and more efficient use of resources such as water, energy and paper. Sustainable mobility is one of our main priorities. After all, the mobility of our employees accounts for by far the largest proportion of our CO2 emissions. This is why we try to promote sustainable mobility. This might be via the use of cleaner, alternative fuels or promoting the use of fuel-efficient or electric cars. Or it might be by promoting the use of bicycles or public transport. But car-sharing, car-pooling and new technologies for online meetings also play a role in the reduction of the number of kilometres our employees drive. Participation in the Dutch government’s multi-year covenant (MJA3 2005-2020) for the Dutch IT sector, which includes our commitment to reduce CO2 emission by 30% CO2 (= 2% per annum). Based on this multi-year covenant, Ordina has drawn up an energy efficiency plan (EEP). This plan focuses on mobility. In line with this plan, Ordina’s goal is to switch entirely to electric transport and to stimulate the use of public transport. Participation in Green Deal. In line with this initiative, Ordina will strive to increase the share of corporate car sharing. Ordina strives for an integrated form of reporting, with the intention of incorporating our CSR goals in our reporting and control cycle. 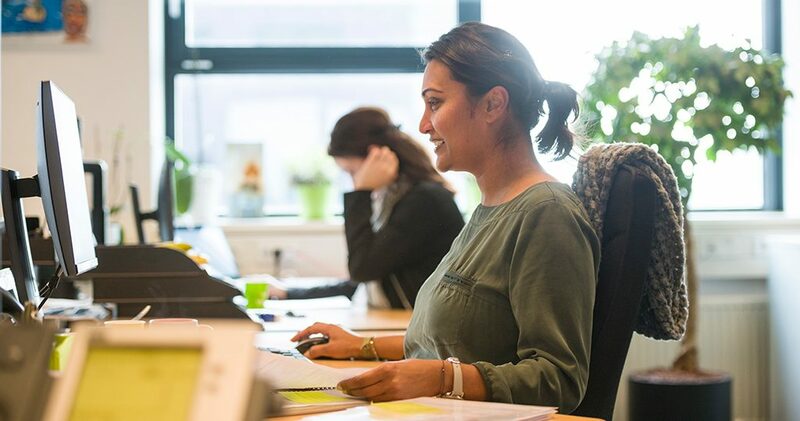 In addition to this, Ordina believes corporate sustainability is important and in our business operations we strive for a balance between economic, ecological and social interests. Ordina’s goal is the continuous improvement of our environment performance and strives to keep our own CO2 emissions as low as possible.